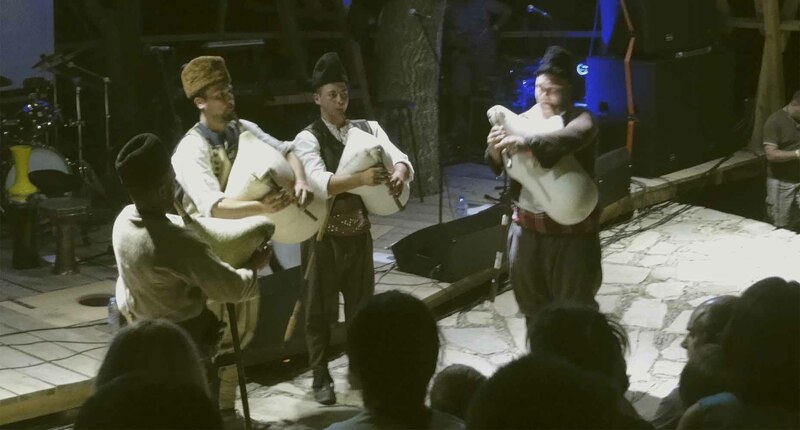 In August, the village of Dolen was home to the first edition of Transfiguration Festival, which hosted many high-profile music acts such as Isihia, Kayno Yesno Slonce, Smallman, Balkanski and Theodosii Spassov, Baba Zula and so on. 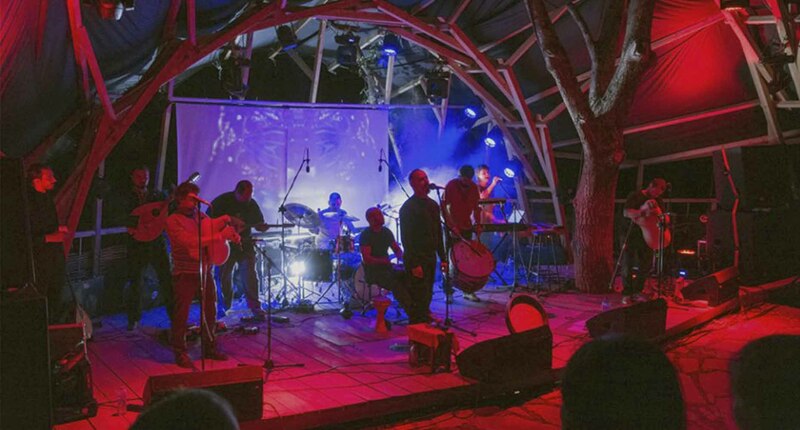 After finishing our first architectural workshop in Dolen, we started work on several events for the Transfiguration Festival. We created a guide map for the Festival guest, outlining the Festival’s main locations, as well as sites of interest throughout the village and its surroundings. Meshtra made its HQ in a house in the very heart of the village, and from there we were able to help visitors to get their bearings in Dolen and advertise them to the various activities we proposed. We set up a series of lectures and discussions open to the guests of the festival. 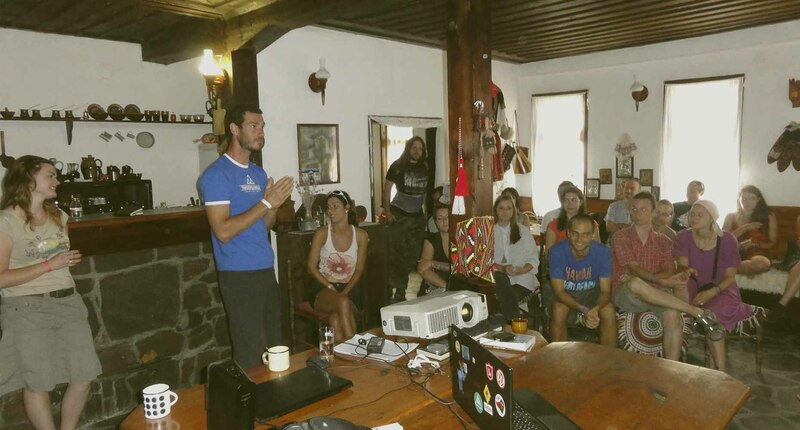 Many locals also took interest and supplied the sessions with their own stories and experience. The results from the architectural workshop were the subject of an exhibition, including our map of the cultural values of the village, the physical condition of buildings, their level of preserved authenticity and the way they contribute to form the village’s unique architectural ambiance. 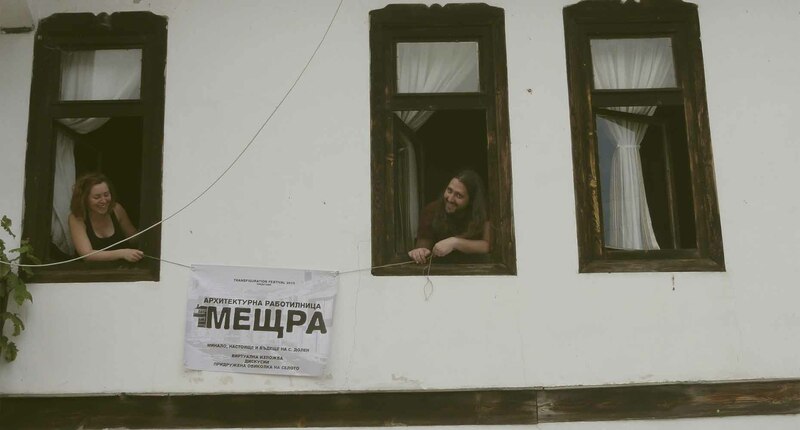 We also organized several architectural guided tours through the village, during which the Festival guest could learn about the village’s history and particularities, and also have a first-hand experience of the architecture from the time of the Bulgarian Renaissance, its heritage value and the imperatives of its preservation. By the end of August we appeared at the the Beglika Fest 2015, together with the Association for construction with natural materials. We held a lecture dedicated to heritage and building/restoring with natural materials.